Zithromax dispersible is an azithromycin-containing medication with high effectiveness widely used to treat many diverse infections caused by bacteria, such as respiratory infections, skin infections, ear infections, and sexually transmitted diseases in adults. In children, it is used to treat a middle ear infection, pneumonia, tonsillitis, etc. The main active ingredient of the curative agent – azithromycin – is a macrolide antibiotic that interferes with the growth of bacterial cells. It is used to treat bacterial infections in many different parts of the human body. It is also very popular in the currently approved strategy of treatment of sexually transmitted vaginal or urinary tract infections caused by chlamydia. It should be noted that despite its general effectiveness in the treatment of bacteria-induced illnesses, it provides no effect on the development of viral infections and, accordingly, should not be used to treat any diseases of the viral origin. The main active ingredient tends to accumulate primarily in lysosomes, which is especially important for the elimination of the potentially dangerous intracellular pathogens. It has been proven that phagocytes deliver azithromycin to the sites of infection, where it is released during the process of phagocytosis. The detected levels of the substance in the affected cells are 24–34% higher than in healthy tissues and correlate with the degree of the inflammation process. Thanks to the fact that the active substance is accumulated in bactericidal concentrations for five-seven days, it is possible to use it for short (3-day and 5-day) therapeutic courses. Unlike standard azithromycin-containing medications, Zithromax dispersible is manufactured in the form of powder for suspension for oral administration containing 100 mg/5 ml or 200 mg/5 ml of the active ingredient. Fast dissolution and increased rate of absorption allow this medication to provide a more rapid effect in comparison with pills. Antacids containing aluminum or magnesium may decrease the absorption of azithromycin if taken at the same time with the curative agent. If you take antacids that contain aluminum or magnesium, wait at least two hours before or after taking the drug. Your health care provider should be informed about all other medicines you are taking, including non-prescription medicines, nutritional supplements, and/or herbal products. In addition, inform your health care provider if you smoke, use illegal drugs, or consume increased daily doses of caffeine and/or alcohol. These substances may affect the way the medicine works leading to side effects and/or decreasing its positive effects. Unnecessary administration and/or misuse of the antibiotic may lead to its decreased effectiveness. Infectious and inflammatory diseases caused by microorganisms sensitive to azithromycin. Infections of the skin and subcutaneous tissues. Urinary tract infections (gonorrheal and non-urethral urethritis, cervicitis). Diseases associated with Helicobacter pylori (as part of combination therapy). If your symptoms do not improve in two-three days since the beginning of the therapy, you should contact your health care provider. Keep out of the sun, or wear protective clothing outdoors. Eschew bright sunlight. 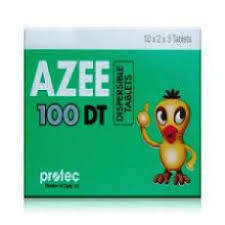 In order to achieve the best curative effect, take this antibiotic in compliance with the established schedule. Continue taking this therapeutic agent until the end of the established period of treatment, even if symptoms disappear after a few days. Early discontinuation of the therapy may allow bacteria to resume their growth, which may result in the development of the recurring infection. Serious allergic reactions associated with this drug are rather rare. Nonetheless, get medical help in case you observe any signs of a serious allergic reaction, including severe fever, rash, itching/swelling (especially severe swelling of the face/tongue/throat), severe dizziness, etc. If you notice negative effects that are not listed above, contact your doctor.